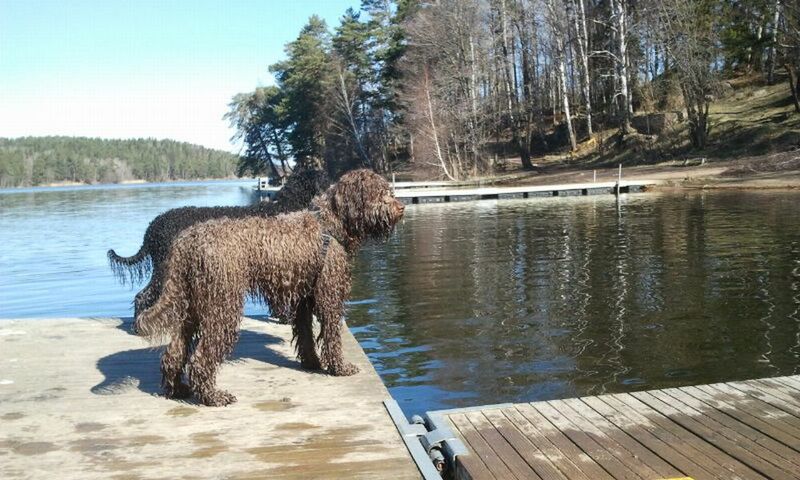 In Stockholm Yatzie got to met her best friend the portugese waterdog Isa. They had not met for three years. Just before leaving the house I said to Yatzie: Shall we go to see Isa? She became so excited, she ran around the house looking for Isa, she started crying standing by the door so she could go search for Isa. Isn't it amazing the memory the dogs have? Three years and she knew exactly who we were going to see. Their meeting was a bit hesitant. They smelled each other like usually, but the playing they had together did not happen this time. Yatzie is very much a one friend dog. In Sweden it was Isa. Now she has Moët and that is enough for her it seems. But the memory of Isa and all the fun things we have done together is definetely still there!